Dressing properly in a bathing suit is a true art because it is the most acceptable revealing form of clothing. One hundred years ago, a bathing suit for both genders resembled a full body suit, often with a skirt and matching parasol for the ladies. Over time, we have pared down to the most minimal suits possible. Bikinis are all the rage, and that is only when women choose to wear a top. Scandalous cannot begin to describe it. The most important aspect of choosing a bathing suit is to make sure that it fits like a glove. Besides the obvious embarrassment of having your suit slip off in the water, there is a dreadful stretching aspect to bathing suits when they do not cling to the body; this creates extremely unsightly bulging and drooping. Making sure that all of your personal parts stay covered is key. A bathing suit bottom that is too large often slips down. I might suggest wearing a size smaller if possible. It is far better for it to stretch a little and be comfortable as opposed to it sliding down. When choosing a bathing suit, I strongly suggest using a “seat check,” meaning that you make sure everything remains in place and nothing slips out while you are seated. Otherwise, walking down the beach and looking up at the loungers can be traumatic. A cover-up is just as vital as a bathing suit. A sarong is not acceptable. A cover-up must cover the full midriff and shoulders. Personally, I feel it is best for a cover-up to conceal your upper thighs while you are seated, even if merely for comfort. This allows you to sit at a restaurant off the beach and not have your bare skin make contact with the chiar. For gentlemen, some sort of beach/pool shirt is a must. A T-shirt can be a little too causal, so a short sleeve button-up shirt in a summer fabric makes for a very completed look. A collar is important because poolside restaurants often have a dress codes It is best not to leave it to chance and bring a collared shirt. If a gentleman chooses to don swim briefs or second skin trunks, he must also have shorts. Although these looks are worn mostly outside of America, they are becoming increasingly popular. They might be acceptable for the beach, but they are not acceptable anywhere off the beach. Swimwear for women has many variables. The endless shapes and configurations leave many women in the wrong option. String bikinis have their place, and I encourage people to attempt to remember where that is. At a country club-like atmosphere, you are sure to get noticed in a negative fashion. If a woman is flat chested, I might suggest a halter top style of bikini top or bathing suit. One-piece suits are becoming more and more prevalent – and more and more scandalous! When choosing a suit, one must keep one’s audience in mind. I implore all swimwear wearers to make sure that their bodies are best suited to their suits, that they have complementary cover-ups that allow them access to places of business such as restaurants, and that the ensembles fits. These very small swim briefs are an example of Dolce & Gabbana men’s swim wear that not only needs an accompanying shirt, but shorts as well. This amount of coverage is only appropriate for pool/beach side and does not transition well off the beach. 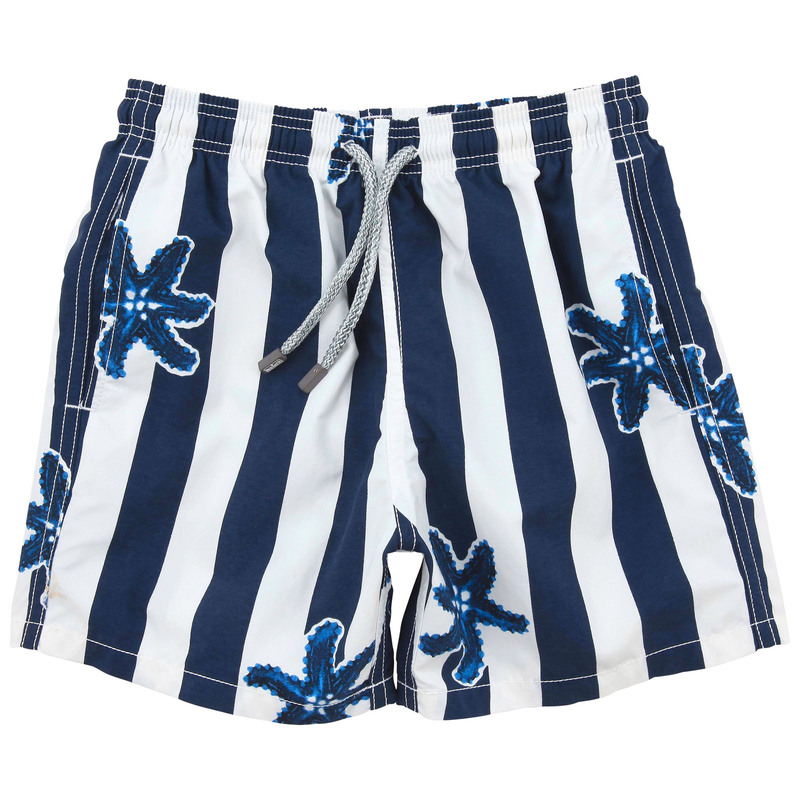 This classic Vilebrequin set of trunks is the perfect bathing suit for global use. It’s on the short side giving it a European flair, while not being too clingy. This Missoni bathing suit would fall in the category of only being appropriate at a beach in the South of France. Though the top is appropriate, the string aspect of the bottom makes it just revealing enough to be out of place at the country club or the Breakers in Palm Beach. This delicate Oscar de la Renta lace cover up is the perfect thing to take you off the beach for cocktail. Its sheer quality allows for full coverage, while also allows a colorful bathing suit and you tan to peek thought.